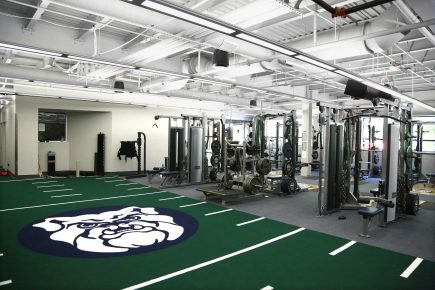 The project involved the replacement of 75 percent of the toilets and urinals and installing aerators on 85 percent of the faucets in the university's Arts Building. The project has an estimated savings of roughly 13,263,000 liters per year and annual cost savings of approximately $33,000. A recent $79 million renovation of the historic building includes energy-efficient heating and air conditioning, high levels of daylight for natural lighting, occupancy sensors and continual energy monitoring. More than 76 percent of the construction waste was recycled. The building was able to reduce its water usage by at least 20 percent. 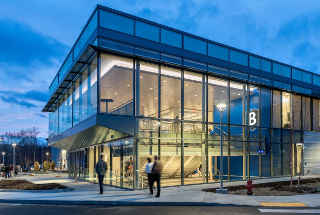 The project also received high marks for using an existing site, having convenient access to public transportation and incorporating bicycle parking. 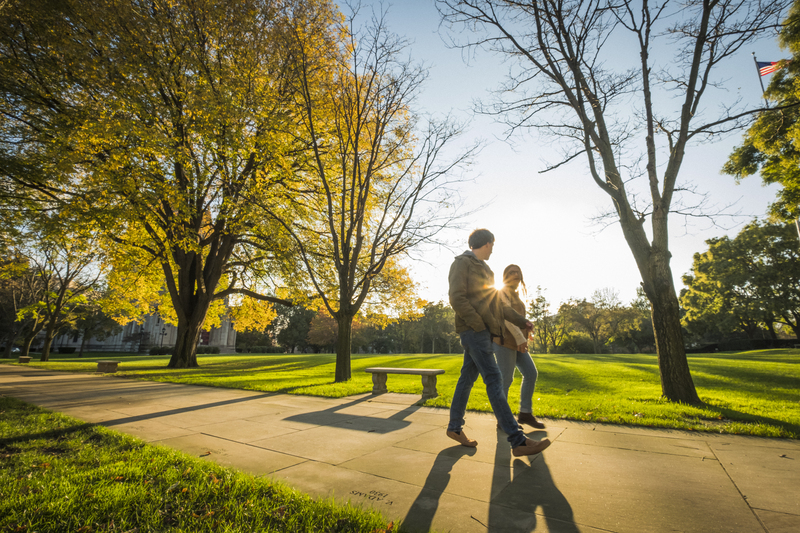 The tree inventory of campus trees is underway in an effort to track progress toward the university's goal of increasing the campus tree canopy 50 percent by 2030. The inventory will also provide data for on-campus biological and environmental science research, and inform the design of new landscapes. The community college was recently selected to receive $980,000 from the latest round of New York State Regional Economic Development Council funds. The funding will be used on the main entry corridor to campus to install bio-retention medians, porous roadway shoulders and educational signage with ongoing monitoring. 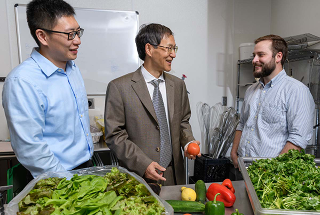 A U.S. Department of Agriculture’s National Institute of Food and Agriculture grant totaling $5 million over five years will enable the university to pilot a hydroponic growing system using domestic wastewater extracted from the campus sewer system. The overall goal is to show that using the nutrients and water resources from domestic wastewater in an urban controlled environment agriculture system is socially, environmentally and financially sustainable and can easily be replicated in other cities. A project to plant dozens of trees this month in Richmond's Carver area will make the neighborhood a greener and more walkable community, while offsetting the carbon footprint of the university as the trees grow. The Carver Tree Project has brought together resources from VCU, nonprofits and state agencies to plant and maintain 75 trees in the neighborhood. VCU will claim carbon offset credits for the new trees under a peer-reviewed program developed at Duke University. Designed and built by employees from the Plant and Service Operations plumbing shop, the Water Dawg refill stations provide potable water, reducing the need to provide bottled water at outdoor events. The university recently celebrated the conversion of its Central Plant, which has been retrofitted to use recycled water for cooling campus buildings. The use of treated recycled water in cooling 65 buildings will save more than 80 million gallons of drinking water annually. This will help the university achieve its goal to reduce per capita drinkable water use by 50 percent by 2025. 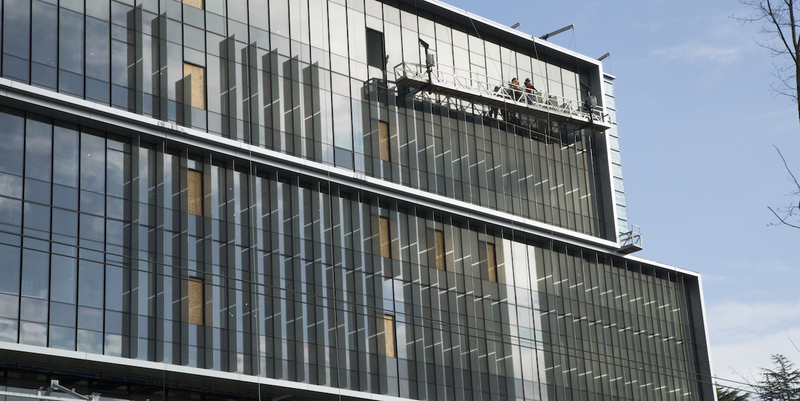 The university's Lassonde Entrepreneur Institute is a five-story, 160,000-square-foot building that opened in 2016. The building features low-flow water fixtures, 100 percent LED lighting throughout and 21.2 percent of the building materials contain recycled content. The site uses water-efficient landscaping through limited sod and drought tolerant plants, and provides easy access to alternative modes of transportation. The university recently announced that it earned a rating of Two Green Globes from the Green Building Initiative (GBI) for the construction of its newest academic buildings, the Science Connector Building and Collier-Scripps Hall. The two buildings feature a white roof to promote indoor cooling, energy-efficient windows and lighting, increased amounts of insulation in the roof and walls, and low flow water fixtures. The sites include drought-tolerant landscaping and easy access to public transportation and rental bicycles. The U.S. Department of Energy recently announced $21 million for 14 projects, of which $11.4 million went to seven universities. The projects will focus on reducing the cost of solar-thermal desalination and helping the technology to reach new markets, including to areas that are not connected to the electric grid. The seven schools selected and funding allocated were Columbia University ($1 million); Oregon State University ($2 million); University of California, Los Angeles ($2 million); University of California Merced ($1.1 million); University of Illinois at Urbana-Champaign ($1.6 million); University of North Dakota ($2 million); and Rice University ($1.7 million). During the 2018 Pac-12 Sustainability Conference in July, the Pac-12 officially announced the launch of Pac-12 Team Green, an initiative that will promote all of the sustainability efforts taking place on and around the conference and all 12 of its member universities. Key components of the Green Team are the Pac-12 Sustainability Conference, Zero Waste Competition, and Sustainability Working Group. Given to the university for its wastewater reclamation and reuse system, the 2018 IDEA Innovation Award is an annual competition by the International District Energy Association (IDEA) intended to recognize energy and water savings. 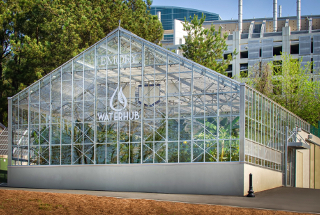 To date, using an ecological treatment process to clean wastewater, Emory's WaterHub has displaced over 160 million gallons of municipally supplied potable water with reclaimed water. 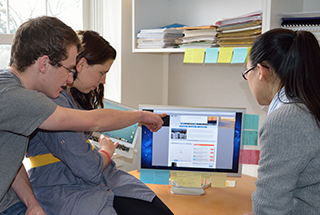 It also provides opportunities for research and education. 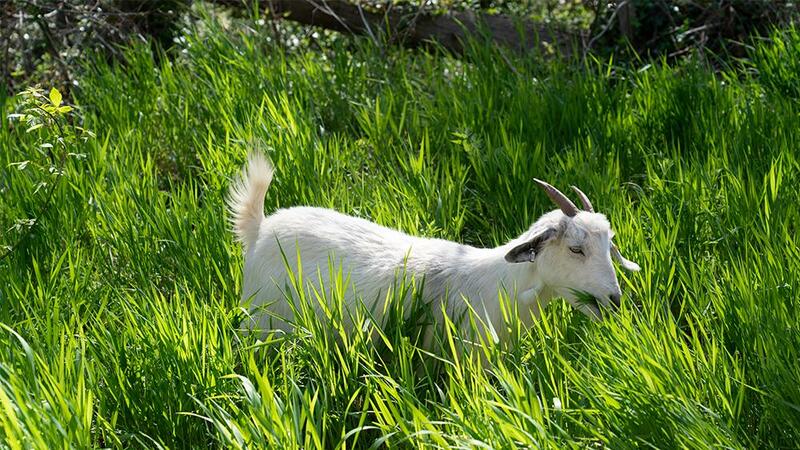 Part of a four-part eco-corridor project, the goats will be used for 12 weeks to help remove invasive species. 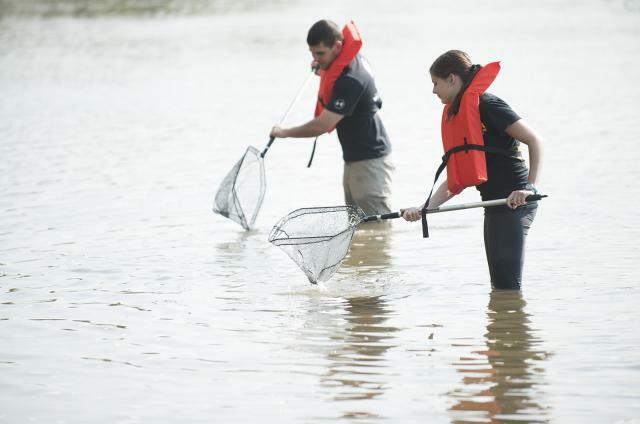 The full project includes the removal of invasive species, stormwater management, stream restoration and the construction of a multi-use recreational trail. 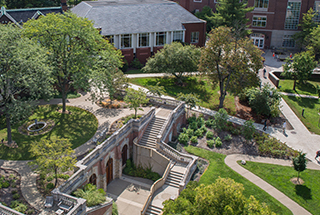 The University of Illinois at Urbana-Champaign received first place in the Demonstration Project Category for integrating a variety of green infrastructure practices into a campus parking lot, while the University of New Mexico received second place. The University of California, Berkeley earned first place in the Master Plan Category for its commitment and vision in stormwater management, while the University of Maryland, College Park earned second place. The University of Arizona received an honorable mention in both the Demonstration Project and Master Plan categories. 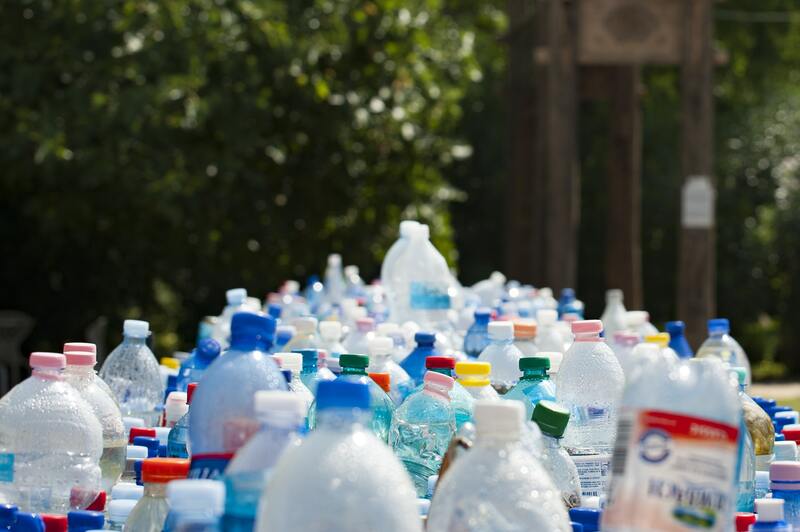 On the eve of World Water Day 2018, McGill has announced that it will phase out the sale of single-use bottled water over the coming year. By May 1, 2019, non-carbonated water will no longer be sold in retail and vending machine locations on the downtown and Macdonald campuses. The university also plans to work with event organizers to reduce the use of bottled water at McGill events. 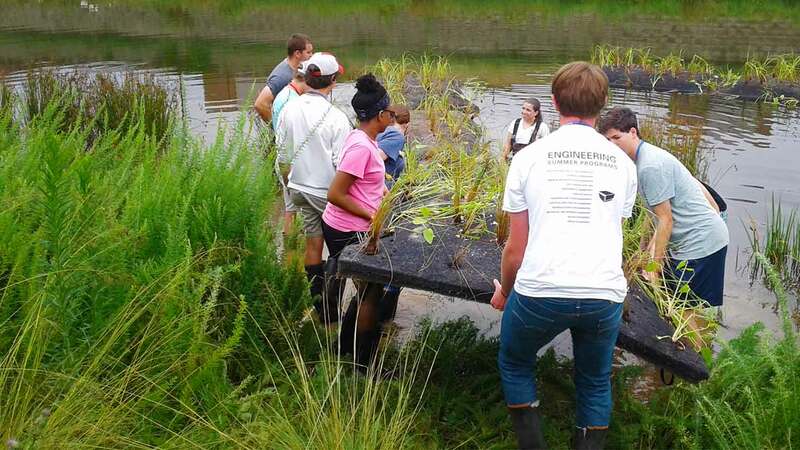 A faculty member and a student in biological and agricultural engineering recently installed floating islands of plants at an on-campus research site to evaluate whether the islands can improve stormwater quality. 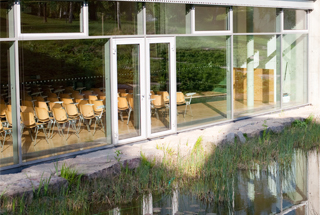 A temporary vinyl barrier divides the pond into a control side and an experimental side with water quality sensors providing continuous, multi-point data as water enters and exits the pond. 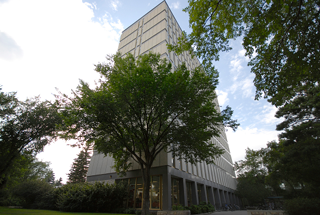 The university's Honors College and Residences building features high-efficiency heating, cooling and ventilation equipment and water saving shower and faucet fixtures. The university recently partnered with two organizations to provide continuous, clean water and power to some of those affected by the hurricanes this fall. 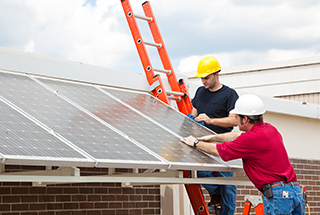 A solar-powered system will provide long-term benefits to the local people while being used as a teaching instrument for the engineering students at the university campus. 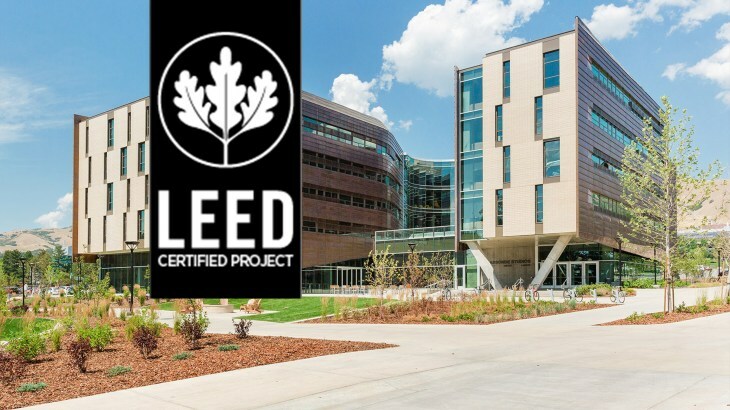 The Stephen M. Ross School of Business' Kresge renovation and Jeff T. Blau Hall project has received LEED Gold certification. The project includes energy and water conservation measures such as occupancy sensors for lighting control, energy-efficient light fixtures, the incorporation of natural daylight and low-flow bathroom fixtures. 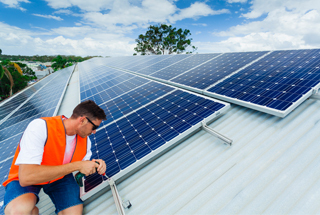 Energy measures are expected to allow for energy savings of an estimated 30 percent. 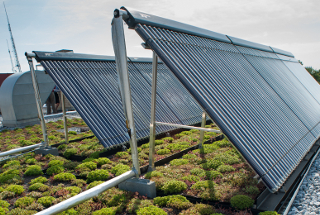 The 22,000 square feet of newly installed green roof on the college's Downtown Campus is capable of capturing 13,000 gallons of rainwater during a single rain event. It will also decrease the urban heat island effect and reduce electricity usage needed to cool and heat the campus. 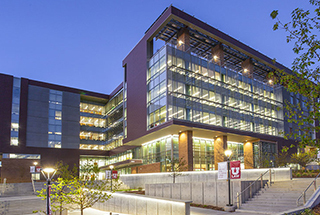 The building utilizes water-efficient plumbing fixtures, which reduce water use by 42 percent compared to a baseline model, and is 26 percent more energy efficient than the baseline model. More than 40 percent of materials used in the renovation were regional and all adhesives, sealants, paints, composite woods, sealers and floor systems are low- or no-VOC (volatile organic compounds) emitting materials. 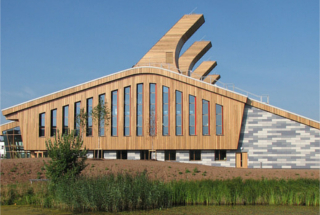 (U.K.): The university's new GSK Carbon Neutral Laboratory for Sustainable Chemistry building, partially funded by GlaxoSmithKline, features minimal energy use, utilization of natural ventilation, wind catchers, a water leak detection system and sustainable drainage systems to deliver energy and water reductions. 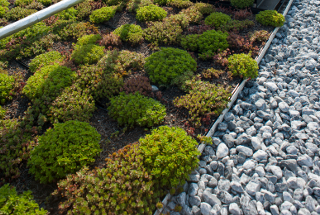 A green roof featuring drought-tolerant native species is also installed. Excess energy generated by the building during its lifespan will offset all the carbon associated with its construction, allowing it to reach carbon-neutral status. 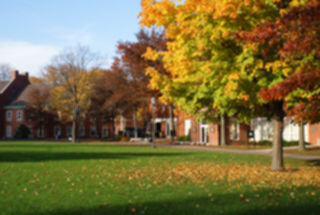 The college selected Ameresco to renew and upgrade campus energy infrastructure and to institute energy efficiency and water conservation measures at the college. 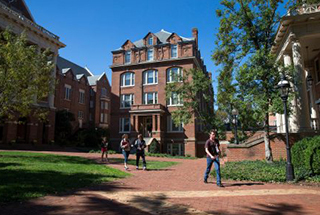 The $5 million Energy Savings Performance Contract project is expected to save the college more than $340,000 in avoided energy costs annually for the next 15 years. 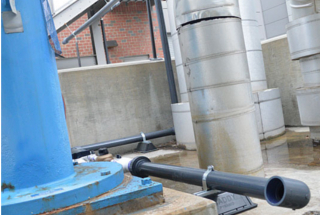 A new reclaimed water system designed by NC State Energy Management and a Utilities and Engineering student intern collects the unused water from the Cates Utility Plant and reroutes that water for use in the facility’s cooling towers, which uses more than 20 million gallons of water annually to cool refrigerant in the facility’s chillers. The new system is anticipated to reduce water costs by about $6,000 annually and achieving a full return on investment in less than 18 months. 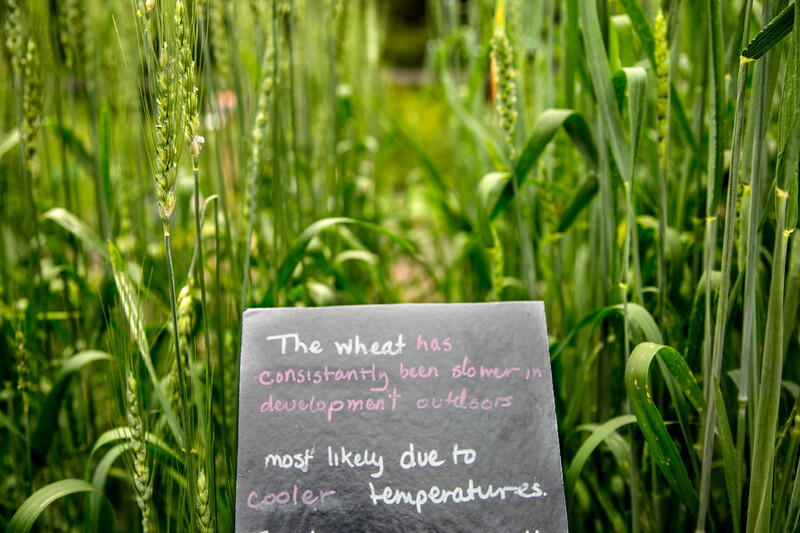 Over the next 13 years, a new set of goals calls for the university and its partner, Nebraska Medicine, to become carbon neutral, with all the energy they use coming from renewable resources produced either on or off campus. The goals also call for reducing waste to zero and using less water than what falls on the main campus during an average year, about 104 million gallons. The UF Institute of Food and Agricultural Sciences launched a new website to teach Florida residents how to preserve and protect the state’s quality of water. The site is targeted at different roles of people regarding how to be more efficient with their water usage. 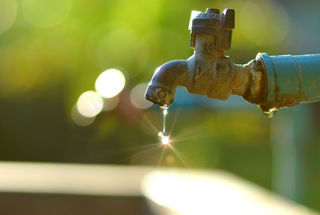 Topics include water use in agriculture involving irrigation and fertilizers, water use in nature, like aquifers and wetlands, and how homeowners and builders use water in urban settings. 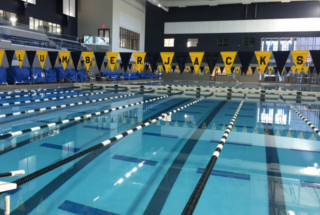 The university's Aquatic and Tennis Complex features recycled material use, such as steel, carpet and acoustical tiles, the use of native and climate-adapted plants, high-efficiency lamp sources and daylighting, and water-efficient fixtures and water bottle/drinking fountain stations. Due to extreme drought conditions, the university has reduced landscaping irrigation across campus, and will reduce irrigation on athletic and recreation fields at season's end, and has discontinued vehicle washing and pressure washing of paved surfaces except for health and safety concerns, and rescheduled routine cooling tower preventative maintenance at chilled water plants. In the November 2016 issue, Architectural Record centered around design and development of the built environment on campuses across the U.S, with a spotlight on three schools. 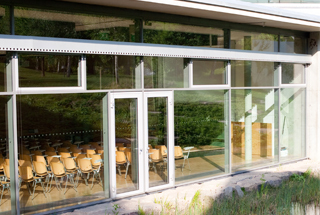 The issue highlighted Chatham University’s Eden Hall Campus, a full-cycle water reclamation, net-­positive energy production and zero-waste operations campus, Hampshire College's R.W. Kern Center, a building constructed to meet the Living Building Challenge guidelines, and Cornell University’s 352-unit, 26-story tower high-rise designed to Passive House standards (set to open 2017). 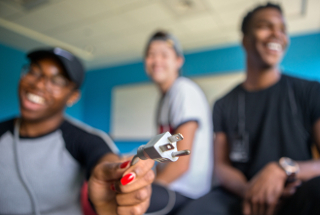 Throughout October, a student-led energy and water challenge between 1,100 residents of three dorms resulted in $12,000 of avoided energy and water costs. 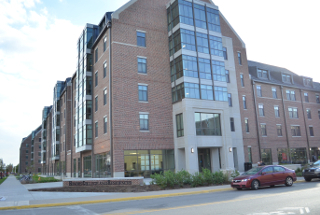 The three residence halls are nearly identical in size and each have their own utility meters, which made for an ideal competition. 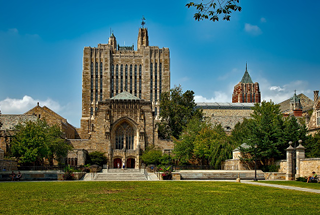 Despite a more than 50 percent increase in campus square footage, the university reduced campus energy use by 33 percent and water use by 50 percent per gross square-foot, as indicated by a piece of legislation that became law in 2007. The legislation calls for a 30 percent reduction in energy use per gross square foot from the 2003 baseline and a 50 percent reduction in water use per gross square foot from the 2002 baseline. The university has received a five-year, $3 million National Science Foundation Research Traineeship grant that will be used to develop a Sustainable Water Development graduate program. With a planned launch of fall 2017, the program will train about 50 master's and doctoral students to address water, food and energy challenges facing resource-limited communities. The university's new Three Zeros Initiative strives to achieve greenhouse gas neutrality, water neutrality and zero waste by addressing individual behaviors, teaching and how the campus can model new, innovative approaches while having a global impact. Three Zeros stemmed from the new Sustainability Plan, which is the university's framework for examining campus-wide sustainability efforts and identifying ways to integrate them into teaching, research and engagement activities. The 10-year, $4 million partnership beginning in the 2016-17 academic year bolsters the university's Refills not Landfills program, an effort to encourage students and the campus community to drink from reusable containers. 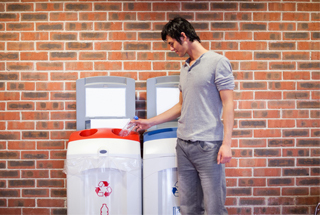 The partnership includes distribution of Brita products, monetary support to departments and an on-campus Brita filter-recycling program.